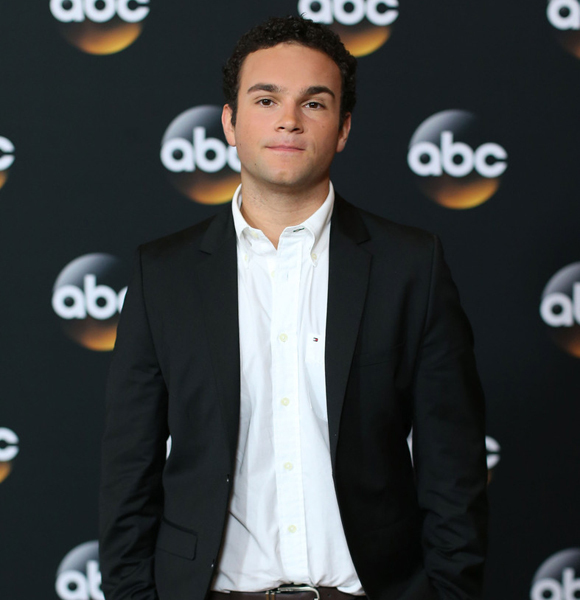 Troy Gentile is an American actor who began acting from a very young age. He is popular for his role as Mark in the 2009 film, Hotel for Dogs and as Barry Goldberg in the comedy series, The Goldbergs. He landed the role in the ABC show in 2013 and still features in it till date. His role in the movies Nacho Libre and Tenacious D in The Pick of Destiny also earned him some level of popularity. The young actor has won the Young Artist Award for Best Performance by an Ensemble in a Feature Film and earned two nominations for Young Artist Award for Best Supporting Young Actor in a Feature Film. Bio – Who Is Troy Gentile? Troy Gentile is the son of Debra and Albert Farshi. He was born in Boca Raton, Florida, on October 27, 1993, with the full name Troy Francis Farshi, but was raised in Los Angeles, California, where his parents moved to when he was four years old. Troy’s mother was once staff at the advertising department of the Boca Raton News. She is a New York native and also has an Italian ancestry while her husband is from Iran. Information about his early life and education are not known but it is known that he was attending Community College prior to being cast in The Goldbergs. In October 2005, Troy Gentile acted as a young Craig Ferguson on a segment of The Late Late Show With Craig Ferguson (a late-night talk show hosted by comedian Craig Ferguson) and also featured in the film, Bad News Bears, which earned him a Young Artist Award for Best Performance by an Ensemble in a Feature Film that year. In 2006, he appeared in films such as Nacho Libre and Tenacious D in The Pick of Destiny and also in the television sitcom, The Suite Life of Zack & Cody. For his performance in Nacho Libre, Troy was nominated for the year’s Young Artist Award for Best Supporting Young Actor in a Feature Film. The following year, he featured in the movies Lives of Mara Larry, Order Up (a short film), and in the romantic comedy films, I Could Never Be Your Woman, Fighting Boy, and Good Luck Chuck. He also played the role of Nathan in the pilot of the Television show, Fugly. Troy later portrayed the character of Troy Jones in the 2008 stoner action comedy film, Pineapple Express. The movie centers around a process server and his marijuana dealer who are left with no choice than to run away from hitmen and a corrupt police officer after they witnessed them kill someone. The actor also played the role of Ryan “T-Dog” Anderson in the comedy film, Drillbit Taylor in 2008, earning a Young Artist Award nomination that year for Best Performance by an Ensemble in a Feature Film. In 2009, Troy Gentile played Mark in Hotel for Dogs, a family comedy film adapted from a 1971 novel of the same title written by Lois Duncan. The next year, he appeared as R.J. Paxton in the TNT medical drama, Hawthorne, in the episode”The Starting Line” and also featured in a short film titled Pig Lady, in 2011. After years of playing small roles, waiting patiently for his big hit, Troy finally got it in 2013 when he was cast as Barry Goldberg, a major character in the period sitcom, The Goldbergs, which debuted on ABC on the 24th of September 2013. The sitcom which is set in the 1980s is based on the memories and video archives of its creator, Adam F. Goldberg, who spent most of his time in the decade video-recording members of his family and friends, an action which they found annoying. Troy Gentile is still on the show to date and according to him, he planned to attend community college for two years and then transfer to a university. However, all that was altered when The Goldbergs came calling and because acting is something he has been doing from a young age, he decided to take the job. Nevertheless, he also said that he would still go back to school at some point. At the moment, it is not certain what Troy’s net worth is. Some online media reports have it that the actor has an estimated net worth of $5 million dollars while other reports claim he is worth $500 thousand dollars. Whatever be the case, we know for a fact that the young man has made some good money from his years of being active in the acting industry and the figure is bound to increase as time goes on. It was once rumored that Troy Gentile was gay but after his on-screen match-up with actress AJ Michalka and the following rumors of them dating, speculations about the actor being gay died off. But until now, he has neither confirmed or denied being gay.